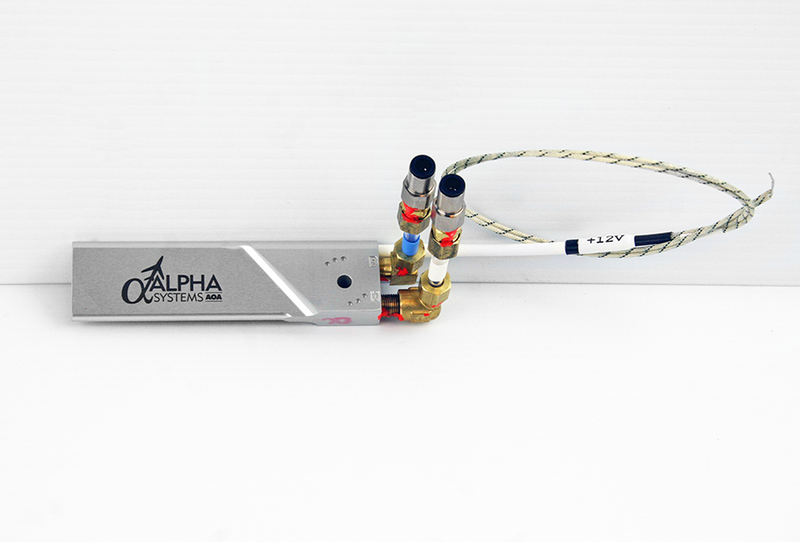 Note: If the 12VDC Low Profile Heated Probe is purchased at the same time as an AOA Kit, the cost is $400.00. If you are purchasing the 12VDC Low Profile Heated Probe as an upgrade to an existing kit, the cost is $450.00. For those airplanes that have less than 2" of clearance in the wing inside the inspection cover and want a heated probe, this is an option for you (i.e. Bonanza, etc). The heated probe has a built in heater of 12V that minimizes the potential for ice build up on the leading edge of the probe.